Rebecca Leonard, Artistic Director and founder of A Girl in the Sky Productions, as Ten'nyo in her production of Ten'nyo and the Fisherman. 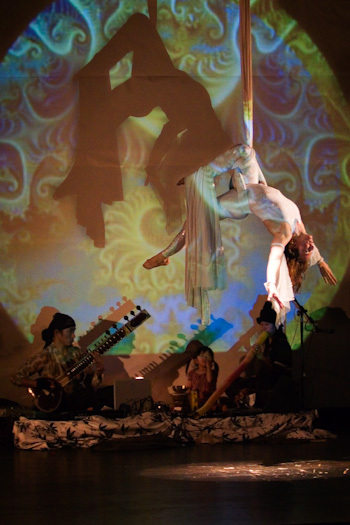 The story is a meeting of circus, theatre, dance, live music, and multimedia. Photo by Robert McKenna.